The next time someone tells you that living out of a car is a sign of financial distress or a failing economy, you may be able to tell them that you have just bought into auto giant Renault’s vision of seeing “a car as an extension of one’s home.” Renault is showcasing its new concept car SYMBIOZ -an electric, connected, and autonomous car that also doubles up as a home- at Frankfurt Motor Show running from September 14-24, 2017. 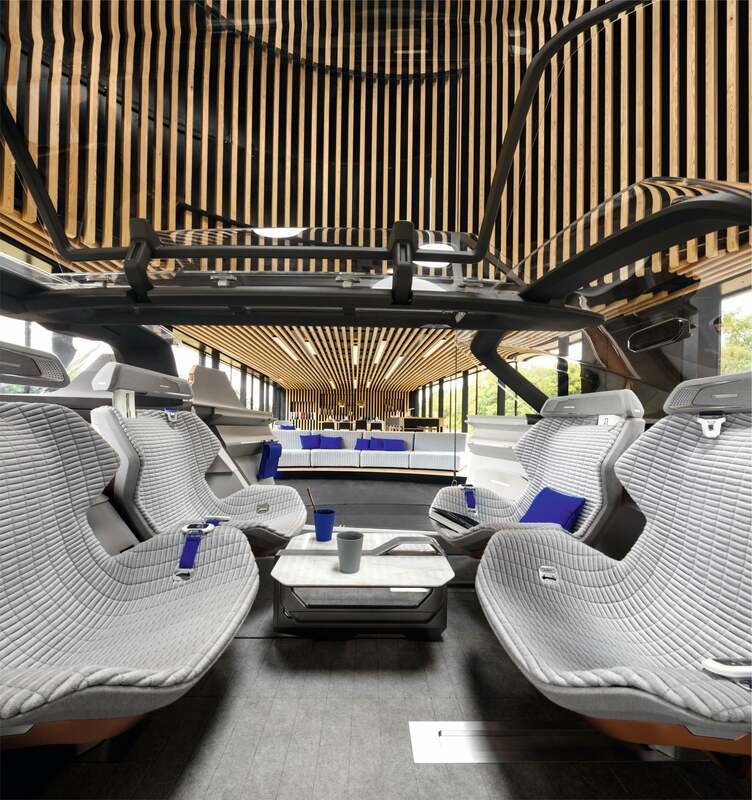 SYMBIOZ is part of Renault’s futuristic vision for vehicles, where it sees them fully interact with connected homes, cities, other vehicles, and road infrastructure. While the concept itself may feel far-fetched, the automaker says that a demo vehicle with a few of the SYMBIOZ elements will be available for testing later this year, a prototype may be ready by 2023, with production planned for 2030. 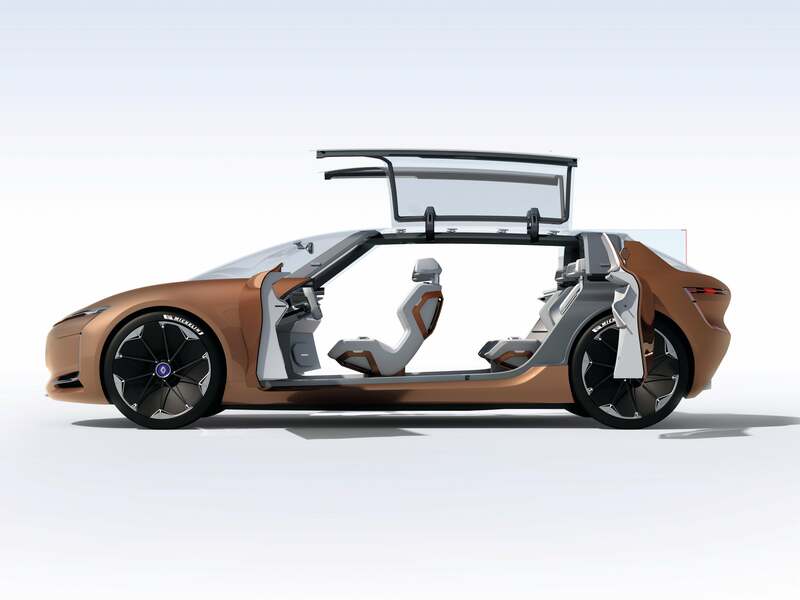 The car’s design mirrors that of the interiors of a house with copper body, crystal finish, and generous cabin space, thanks to the car’s rear-wheel drive configuration. Owing to a retracting dashboard, and movable seats (which can take various positions) the SYMBIOZ is ideal for autonomous driving, wherein, according to Renault, “drivers can easily relax and chat, read a book or enjoy total access to their personal digital world.” Add-on technologies such as automatic detection of passengers, a lifting platform, atmospheric lighting, customized seat settings, music streaming, and other entertainment features help support the living experience. Not just that, the car can also connect to the driver’s home wirelessly, and as per reports of a demonstration made by Renault at the Auto show, the car can also integrated and elevated in the house to act as a small extra room. Besides the novelty, Renault says the idea behind SYMBIOZ was to make “our homes and car share energy.” This is ensured as the electrical energy is distributed through a smart grid shared by the car and the home in an AI environment. “For example, it’s possible to program the system to use the power stored in the car batteries temporarily for the lights, screens and home appliances during peak times,” reads a company statement. The company added that the demo version of SYMBIOZ was made in partnership with technology and creative partners such as LG (interfaces), Ubisoft (virtual reality experience), Devialet (sound systems), TomTom (geo-positioning systems), among others, in an Open Innovation approach.